There’s a lot of nitty-gritty work that needs to get done in daily operations, which is the core of unnecessary stress. The right technology platform automates the tedious back-end processes so you can spend more time on bigger, more beneficial tasks. How can technology help with your operations? Technology continues to grow in the nightclub & bar industry every year. In fact, more and more venues are turning to it to track results, effectively communicate across all staff members, and offer exceptional client experience. 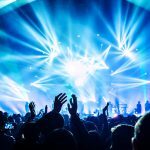 This year alone, we’ve seen top venues make better use of platforms that are available to streamline operations and maximize profits, and it isn’t going to slow down anytime soon. 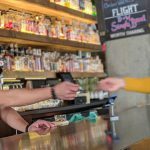 The solutions they’re seeking are ones that offer the whole gamut in one spot, including guestlist management, VIP reservation management, client relationship management, point of sale, ticketing, marketing solutions and, most importantly, analytics. Using this type of technology gives you better insight, increases efficiency and revenue, and ultimately leads to a better customer experience. What’s the best way to implement technology? New technology can be overwhelming, but it doesn’t have to be. That’s why we recommend taking small steps that help you realize how technology can significantly increase efficiency and profitability. Here are the five steps to take to implement a new system. 1. Define bottleneck areas. Which areas of your venue are causing a bottleneck? Is it the line outside your door? Is it your staff not knowing your systems and processes? Perhaps a mixture? Speed of the night is important, so it’s important to know what’s slowing you down and why you need to fix it. The more you know about the problems you’re facing, the better technology partner you’ll find to help alleviate these issues. 2. Create systems. The best way to have functional operations is to have distinct processes and systems. Some may be as simple as redefining roles and communication processes. Others may be more complex, like installing a new platform. Either way, it’s important to clearly define and establish a system that’s easy for everyone to follow. 3. Find the right technology vendor. Look to companies that are willing to fully understand your venue’s operations and strategies to provide the best solution to your needs. Also consider using a system that has multiple solutions on one platform. Not only does this reduce the number of vendors you have to work with on a daily basis, but also better integrates data about your club’s performance. 4. Implement in small steps. Implementing technology doesn’t have to be one big overhaul. Pick the technology solutions that you absolutely need today and blend it into your current operations. Once you get the hang of the new features you added, you’ll feel more comfortable about what technology can do for your venue and will be ready to add more necessary features. 5. Train staff. New systems and processes only work if everyone is on board and following them correctly. Make sure your staff understands your new processes and knows how to use the new tech systems. Explain why the new system is in place and how your venue as a whole will benefit from it. This gives them more reason to believe in the system and strive to make the change. 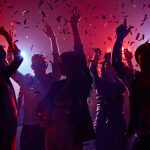 A highly functional nightclub is a more enjoyable place for everyone to be – from your staff to your guests. Couple this with industry trends and top performers, and you’ll be set for success for years to come.